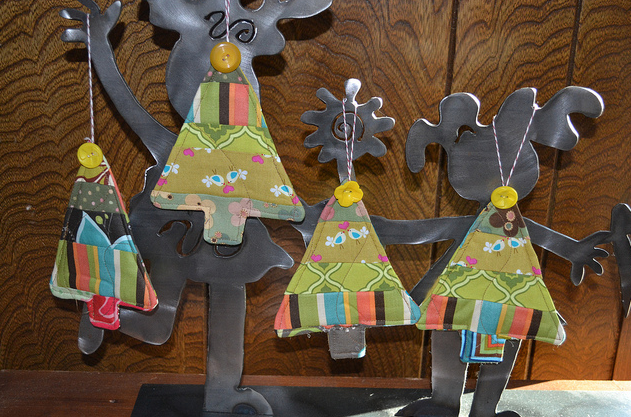 Scrappy Quilt Christmas Tree Ornaments! Otherwise known as “My Sewing Obsession of the Day!” I just put these up in my shop. I’m happy to make these Scrappy Quilt Tree Ornaments all day long. I’m also happy to hand them out as gifts this year. So fun!